Matt, you’re taking your show Two Little Ducks on tour around the UK. Are you looking forward to it? 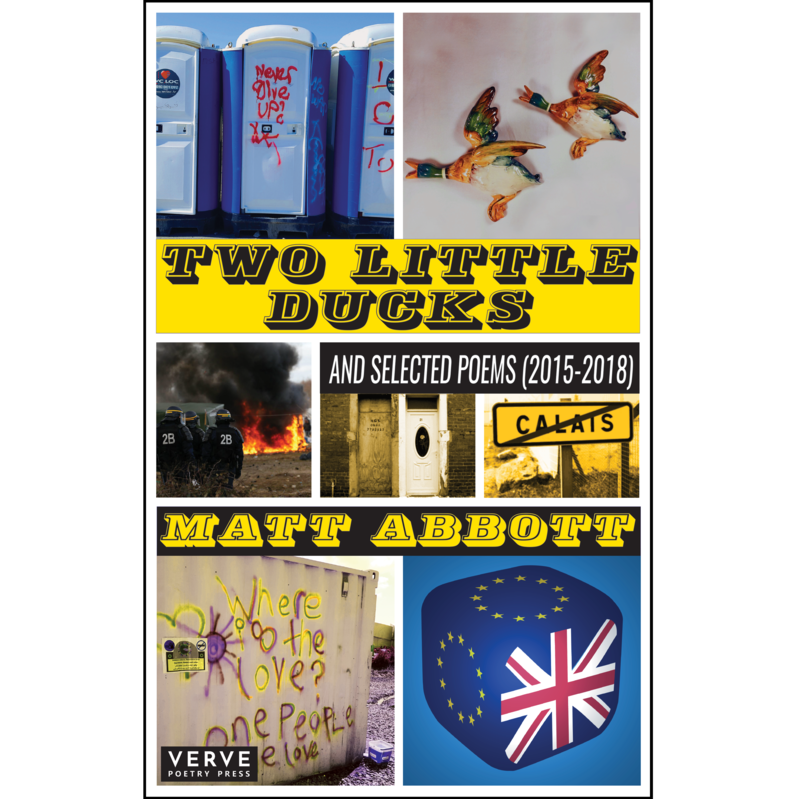 Absolutely, yeah – I’d say it’s by far my biggest achievement in my poetry career to date, and even though it’s now less than a fortnight away, I still can’t quite believe that it’s happening. Obviously on one level I’m anxious about ticket sales (22 dates is a lot of dates to sell! ), but I know how hard I’ve worked to get to this stage. 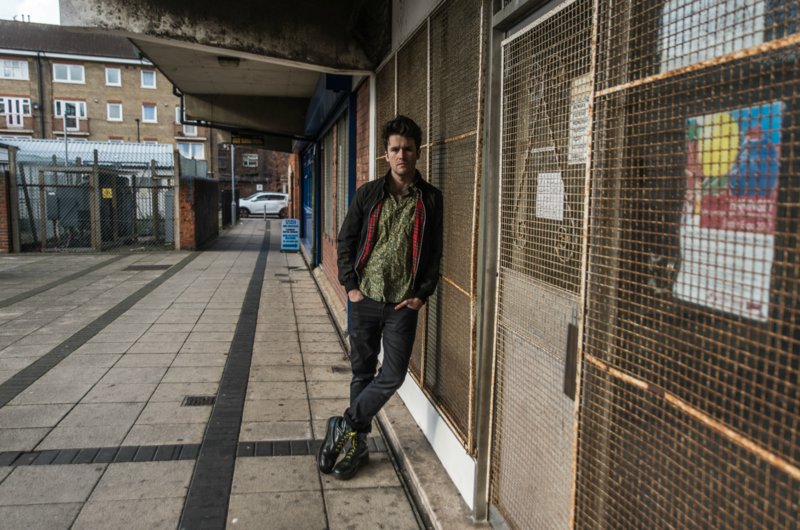 I’m really proud of the show and am immensely excited to be sharing it around the UK. Most of the venues on the tour are completely new to me, which is even more exciting. In terms of the structure, it’s a sequence of 22 poems. But it’s very much presented as a standalone theatre show, so rather than “poem, clap, chat, poem, clap, chat”, it exists as one piece. Content wise, there are three core strands. Firstly, I’m exploring the core reasons behind working-class support for Brexit. I grew up in a city that voted 66% Leave and find a lot of the sweeping preconceptions about Leave voters unfair (although I’m very clear to call out racism, obviously). Secondly, I’m recounting my experiences volunteering at the Calais Jungle refugee camp, which I did either side of the referendum. What we see in the mainstream media is a gross misrepresentation and in my eyes a real disgrace, considering the nature of the humanitarian crisis on our doorstep. Finally, I use kitchen-sink realism to tell the fictionalised story of a character called Maria. I allow her strand to speak for itself. Well, I have to be completely honest with you. I did a Nationwide advert back in September 2016, for which I was paid a large sum up front. 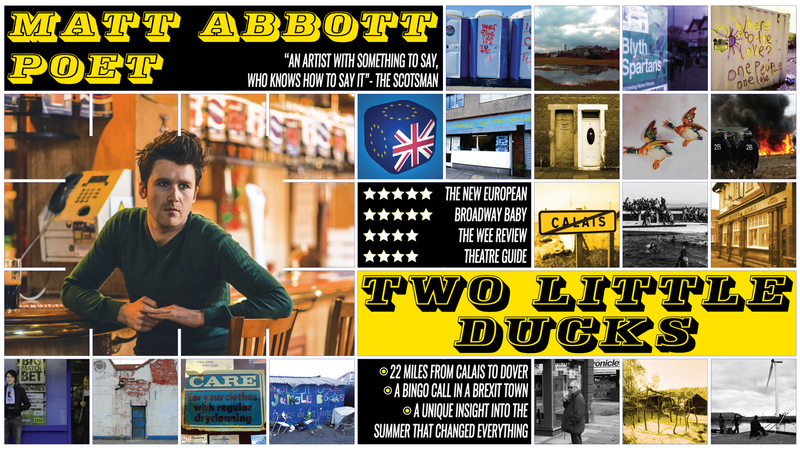 I immediately decided that I wanted to use the opportunity to write a show and take it up to Edinburgh for a full run. Obviously this was only a few months after the Brexit vote, and only a month after I’d most recently been to Calais. So in many ways, circumstance had given me the ingredients for the show before I’d even decided to write it – which in my opinion always leads to the strongest content. I’d been writing the character of Maria for years, in various strands (from songs in my band Skint & Demoralised to failed attempts at screenplays and novels, and in poems since 2013). Initially I was only focusing on Brexit and Calais, with the title ‘Two Little Ducks’ in my mind, but as the show developed, I realised how important Maria’s role was in sewing it all together. The version which I took to Edinburgh last year was effectively a very polished scratch based on the initial premise. I began to tweak and develop it over the winter, based on what I learnt at the Fringe, and then when I was offered a publishing deal by Verve, it gave me the perfect time-frame to undergo a brutal rewriting process and produce the final version. 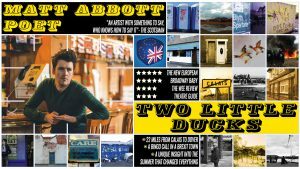 In many ways I’m frustrated that so many people have seen a version of ‘Two Little Ducks’ which I consider to be vastly inferior to the final show. But I recognise that it was all part of the process, and when I come to write my second show, I’ll know to do things differently. Also, the tour and the book represent the show’s pinnacle and obviously the book remains forever, so that’s the main thing. I should also quickly explain the title. ‘Two Little Ducks’ is an old bingo call (slang for number 22). For me, bingo is one of the things that epitomises working-class culture, a culture that I grew up in, which led me to write the Brexit content. That’s married with the fact that there are 22 miles between Calais and Dover – hence the show’s title. And Maria’s strand begins on her 22nd birthday; 22 being the age in which all youthful landmarks/targets disappear, and you’re left to figure out adulthood entirely on your own, with nothing on the horizon but your own doings. The show received two 5* reviews at Edinburgh Fringe, one of which was in The New European, which is a newspaper that I hold in very high regard. In general the feedback has been great, but I’ve only performed the final version once (at the Roundhouse’s Last Word Festival in June), so essentially, I’m partially discounting all feedback until the tour starts! 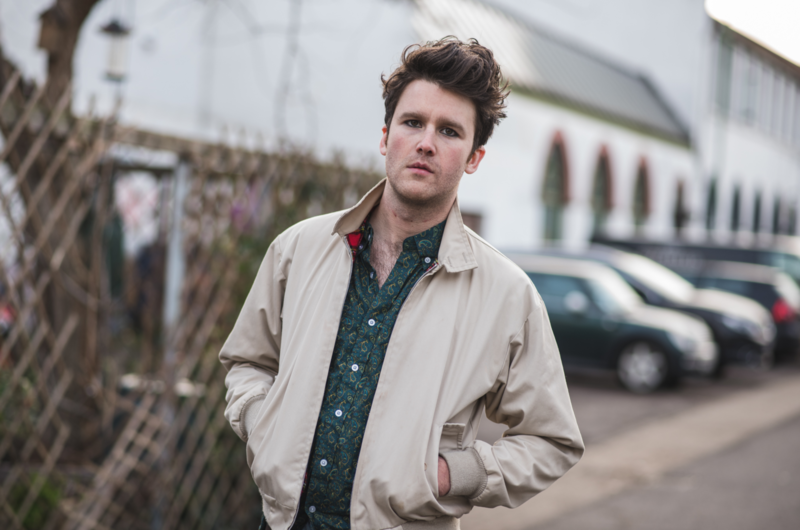 You’re running free poetry workshops alongside the tour. What can you tell us about these? I’ve always written poetry which can be accessed and enjoyed by people who might not ordinarily engage with poetry. I’m really passionate about engaging more people with poetry in general, but in a way that directly contradicts their perceptions of it being a stuffy, elitist, academic and outdated art from. I didn’t go to university and have no formal qualifications when it comes to poetry, so I like to think that I can help people to bridge the gap and discover a new passion. I can’t even begin to imagine my life if I hadn’t started writing poetry at 17. So the workshops are a chance for writers and abilities of all ages to have their say. It’s not competitive or elitist in the slightest, and I’ll give participants the opportunity to publish their work in an online document, which will grow as the tour navigates the UK. The tour also coincides with the release of your first collection. Congratulations. You must be thrilled. Where can we order a copy from? After 12 years of writing and performing, I’m absolutely over the moon. I still can’t quite get my head around it, and will be eternally grateful to Verve for publishing me. You can order the book via my record label’s online shop here for £10. You can also purchase a studio recording of the poems in the show for £5 (download only), or both together for £12.